Cheap house, max 6 persons, internet connection price per day from £ 79 . Accommodation near the beach, 280 square meters, with pool price per day from £ 79 . 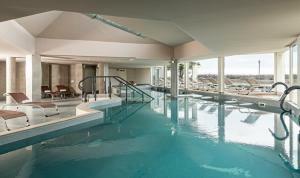 Quiet air-conditioned accommodation, 180 square meters, with pool price per day from £ 195 . 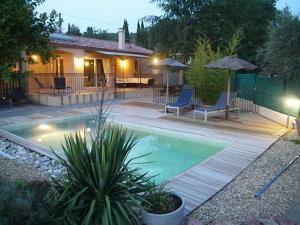 Holiday house, 30 square meters , Saint-paul-et-valmalle, France price per day from £ 17 . Villa Pergola price per day from € 120 Set in a 700 m² garden with an outdoor swimming pool, this air-conditioned holiday home is located in the village of Le Pouget, 40 km from Montpellier. The kitchen is fitted with an oven, microwave and a fridge. Le Mazet Located a 5-minute walk from the centre of Le Pouget, this spacious, air-conditioned house offers access to an outdoor swimming pool and a private garden. 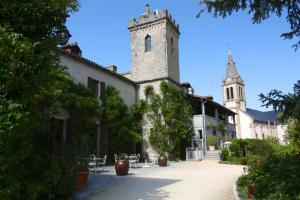 It is set in the grounds of a private home and also has a furnished terrace with views of the garden. 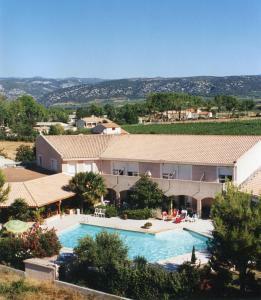 You will also have free Wi-Fi access throughout and a washing machine in the bathroom..
Hostellerie Saint Benoît price per day from € 68 Hostellerie Saint Benoît is situated in the wine-producing region of Languedoc-Roussillon 300 metres from Aniane town centre. Each room is equipped with a flat-screen TV and a work space with a desk. 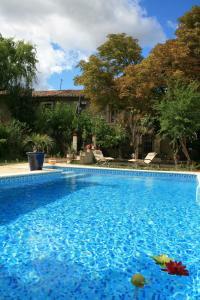 Free Wi-Fi access is available in public areas and some rooms..
Villa 242743, Saint-andré-de-sangonis, Languedoc-Roussillon . Holiday house, 105 square meters , Arboras . Town of Saint-andré-de-sangonis (~4 km). 7+ villas/holiday houses ! Town of Aniane (~4.7 km). Town of Vendémian (~8 km). 2+ apartments, 3+ villas ! Town of Arboras (~8.2 km). 3+ villas/holiday houses ! Town of Clermont-l'herault (~9.9 km). 4+ villas/holiday houses !